Welcome to Typewriter Tuesday, a new series from the American Writers Museum that aims to shed light on the typewriters and other tools behind some of your favorite works of literature. Check back every Tuesday to learn more about these trusty machines and the writers who used them. Our next special exhibit Tools of the Trade, opening June 2019, features more than a dozen typewriters on loan from Steve Soboroff’s impressive collection, as well as other writing implements and instruments used by American writers. Today, we begin with playwright Tennessee Williams and his 1936 Corona Junior. 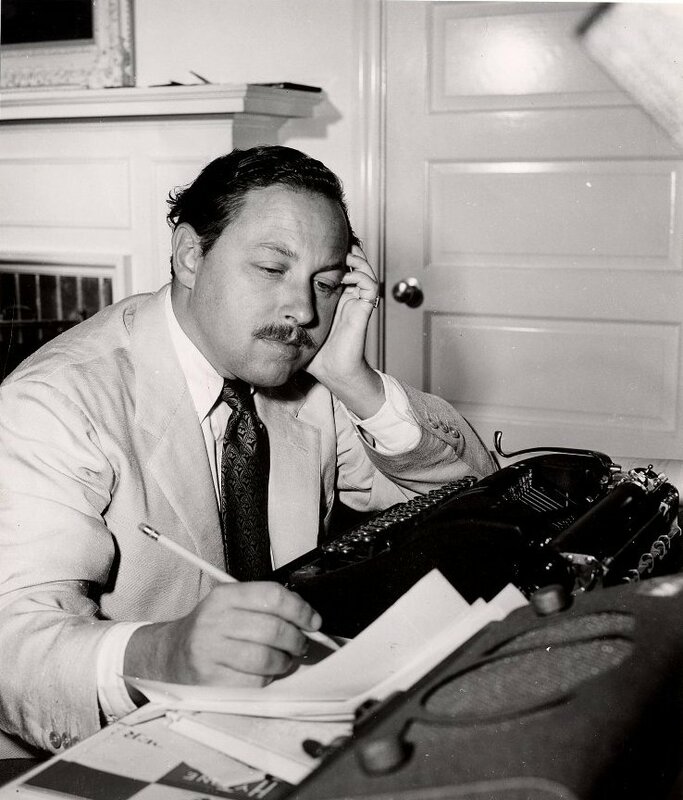 Tennessee Williams working at his 1936 Corona Junior. This typewriter will be on display in our upcoming exhibit Tools of the Trade, opening June 2019. Such is the power of writing, a power which playwright Tennessee Williams understood all too well. A debilitating childhood illness, absent father, family troubles, and personal attacks against him for his homosexuality all made reality unpleasant for Williams, and writing was his escape. He used significant events in his life, most notably his sister’s frontal lobotomy, to inform and inspire his writing. And here at the American Writers Museum we are fascinated not only by the writers and their work, but also the instruments they used to write those works. Our upcoming Tools of the Trade exhibit examines these implements, the often forgotten but absolutely vital tools that writers need to create. Set to open in June 2019, Tools of the Trade will feature a variety of writing implements including pens, inkwells, typewriters and even Helen Keller’s braille writer. One of the typewriters on display will be this 1936 Corona Junior used by Tennessee Williams, which he bought while attending Washington University in St. Louis. Given the timeframe it is likely that his first play, Battle of Angels, which was first performed in 1940, was written on this very typewriter. Tennessee Williams’s 1936 Corona Junior. 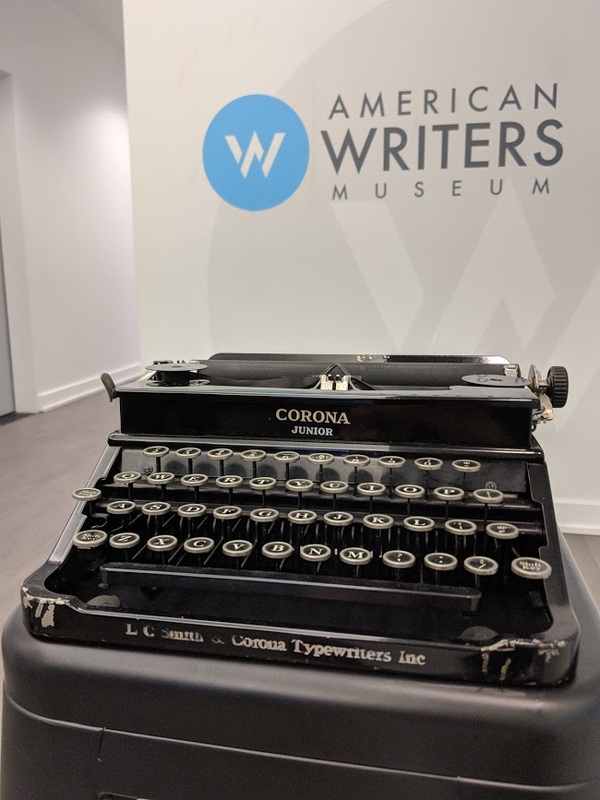 This 1936 Corona Junior used by Tennessee Williams will be on display at the American Writers Museum beginning June 2019. Williams used the typewriter featured here before all of that, before he became famous. This was the typewriter used in his formative years at university and post-graduation. Picture a young Williams sitting down in front of this typewriter, perhaps writing an essay for a college class, or the first draft of a short story that would later become a hit play. It’s difficult to know exactly what was written on this typewriter, but the role this typewriter played in Williams’s development of a writer is undeniable. Like Williams said, there is “no refuge but writing,” and this 1936 Corona Junior helped Williams find that refuge. 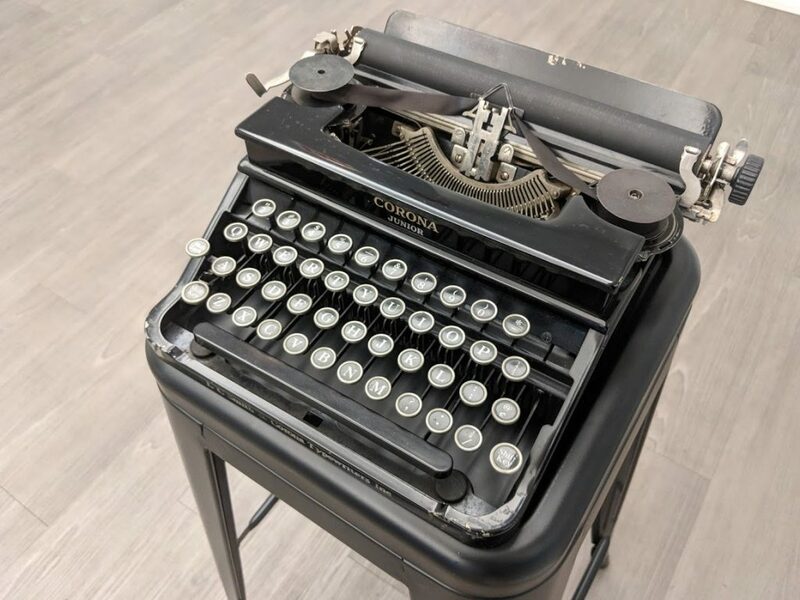 See this typewriter and more at the American Writers Museum’s forthcoming exhibit Tools of the Trade, set to open June 2019. Learn more about the exhibit here, and be sure to follow our blog for more updates and stories about the items that will be on display. Check back next week for the next edition of Typewriter Tuesday, featuring Maya Angelou’s 1980 Adler Meteor 12. This entry was posted in Blog, Typewriter Tuesday and tagged playwright, Tennessee Williams, Tools of the Trade, Typewriter Tuesday, Typewriters.